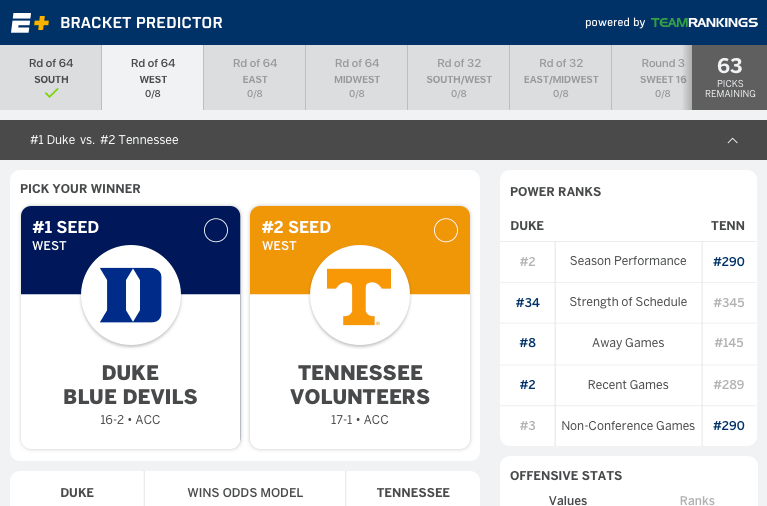 Become an ESPN+ subscriber and gain access to these Tournament Tools, Exclusive Live Sports, Originals and More. 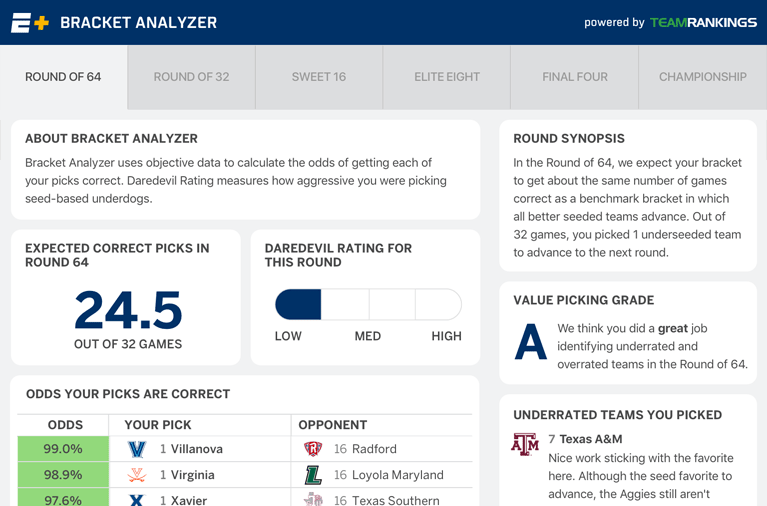 ESPN+'s Bracket Predictor helps you evaluate each of the 63 games and imports your picks directly into ESPN's Tournament Challenge. 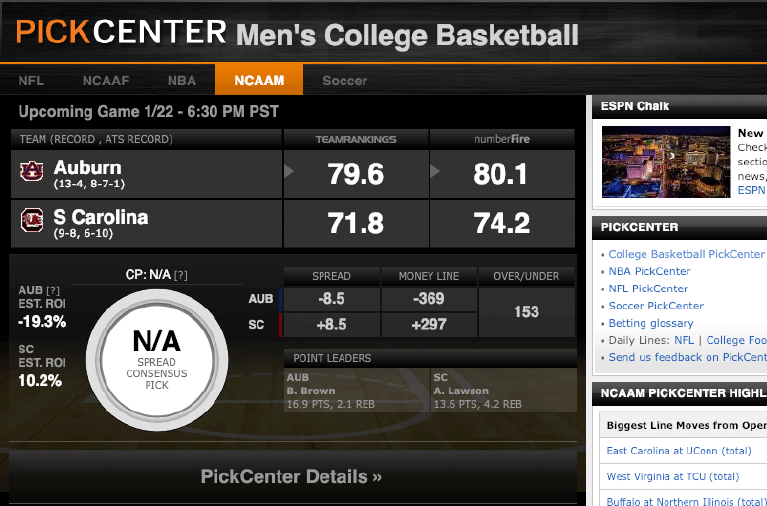 Provides all the resources you'll need to make the best and most educated picks in each and every game. 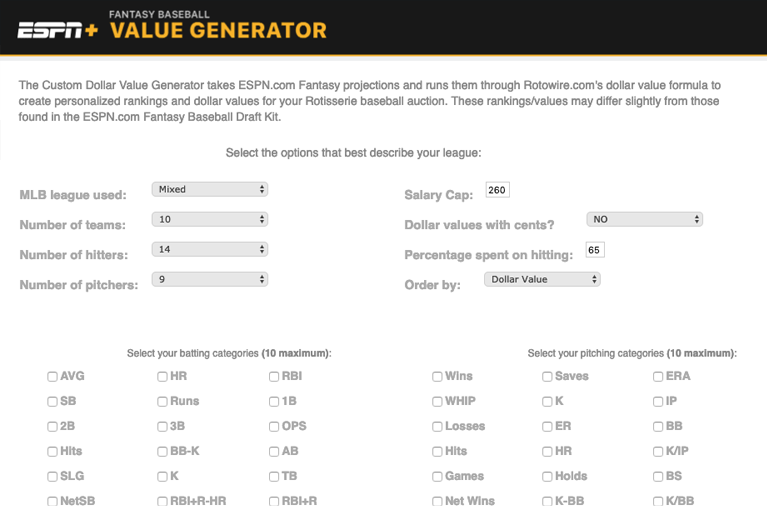 Get customized rankings and dollar values for your rotisserie baseball auction and football auction draft. 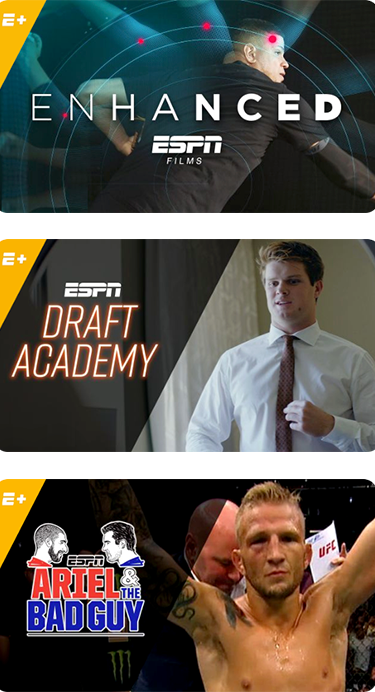 Stream award-winning ESPN originals including the entire ESPN Films: 30 for 30 archives. 7-Day free trial is for new ESPN+ subscribers only. You will be auto-billed unless you cancel before the end of your free trial. 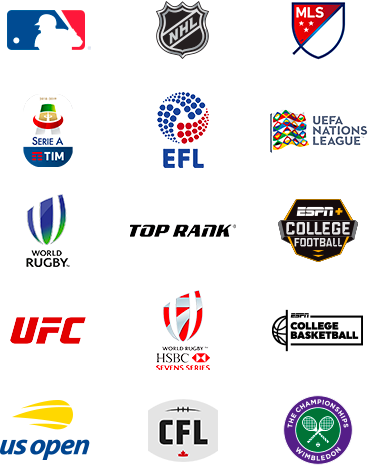 Subscription will automatically renew unless canceled and is subject to the ESPN+ Subscriber Agreement. Cancel your subscription by logging in to your account and clicking My Subscriptions, emailing or calling Customer Support at 1-800-727-1800. Pricing is subject to change. Taxes may apply. Blackout rules may apply.